Born: 1890, St. Nicholas, Ipswich. Died: 7th November 1916; age 27; Died of Wounds – following amputation of left arm – 36th Casualty Clearing Station, Heilly, France. Place of Association: Port Macquarie, New South Wales, Australia. Age: 25 years & 2 months; Occupation: Boundary Rider; Religion: CofE. Next of Kin: father – Joseph Bird – 31, Cromwell Street, Ipswich. Height: 5ft 6 ins, fresh complexion, brown eyes & brown hair. Embarked 15th January 1916 – Sydney, N.S.W. – H.M.A.T. ‘R.M.S. Osterley’. 19th February 1916 – Zeitoun, 10th March 1916 – Moascar, Egypt. Embarked 19th March 1916 – Alexandria – ‘Minnewaska’ – disembarked 25th March 1916 – Marseilles. 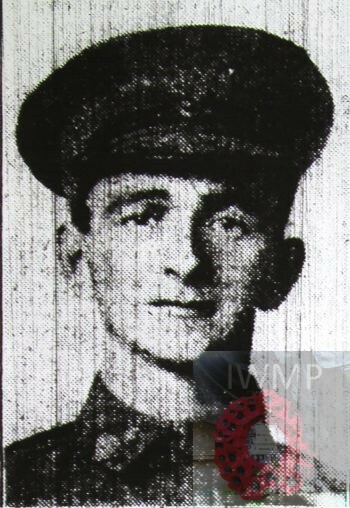 Mustered Driver – 1st April 1916. Transferred to 2nd D.A.C. 13th May 1916. Transferred to 5th F.A.B. 18th July 1916. Posted to 15th Battery 20th July 1916. Regiment: Australian Field Artillery, 5th Brigade. Relatives Notified & Address: Son of Joseph & Sarah Jane Bird, of 31, Cromwell Street, Ipswich. Brother to WILLIAM JAMES BIRD. Edgar was 7 months old and living with his parents & siblings. William James Bird, 6, born Ipswich. Edgar was 10 years old living with his parents & siblings. William, 16, worked at a Timber Yard. On the 23rd Augusr 1909, 19 year old, Edgar arrived at the port of Sydney, N.S.W., Australia. He had travelled via the Suez Canal, on board the S.S. ‘Seydlitz’ from Antwerpen, Belgium. He was to be a Farm Hand. 2 printing frames, Testament, 2 handkerchiefs, soap tin, indentity disc, pipe, metal match box holder, 2 coins, Bible, cards, photos, letters, leather cigar case, 2 photos in metal locket. Australia House, London issued the ‘Where The Australian’s Rest’ pamphlet, Memorial Scroll & Memorial Plaque on the 8th August 1922. Edgar is also remembered on the war memorial at St. Nicholas Church, Ipswich.